Are you looking for a security provider located in Billings, MT or surrounding areas? Comtech has been a local provider of burglar, fire alarm systems and monitoring since 2002. Protect your most valuable assets at home by equipping a state-of-the-art security system. Our systems are designed to provide enhanced comfort, safety and convenience. We provide landline, cellular and interactive monthly monitoring options. We work with EMERgency24 to bring you a team of operators ready, 24/7 to dispatch police or fire if a signal is received. EM24 is an industry leader with over 40 years of experience. Feel at ease knowing your family and home is being looked after around the clock. Our alarm monitoring plans are flexible and we allow month-to-month service without long term contracts. There are many things to look for when signing a security contract. We want you to know what you are signing up for! Read about how to choose a security provider. Video camera security has become a popular option for homeowners. Keep an eye on your home, valuables, pets and more while you are away. View live video footage from wherever you go. Visible cameras act as a deterrent to criminals. Find the perfect camera system to meet your needs. What can Smart Security do for You? Remotely lock and unlock doors, grant access on-demand. Equip your doors to let you know when they are used. Be alerted to suspicious activity through the use of motion detectors. Water sensors can be installed for your piece of mind. Give your home the ability to alert you of a flood. Smoke detectors are a necessary step in protecting your family from harm. Stay protected with live monitoring. Emergency assistance is always available at the touch of a button. Read about commonly asked questions regarding installation of home security in Billings, MT. 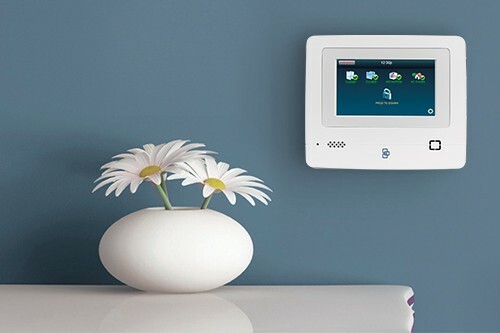 Learn about what you can expect and need to know before starting to design a custom security system for your own home.